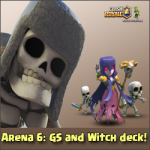 Arena 6 best deck ever | Clash Royale fan-site! 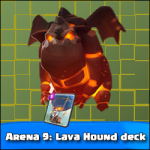 Home » BLOG » Arena 6: the best deck ever (no legendary cards)! 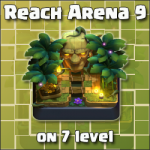 Are you stuck on Arena 6 and can’t promote higher? 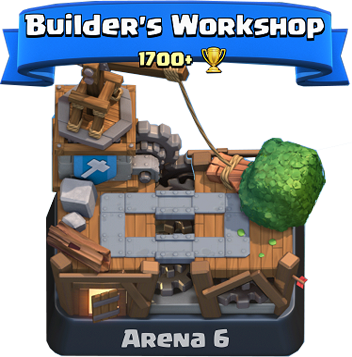 Don’t know how to build an unbeatable deck for Arena 6 without legendary cards in it in Clash Royale? Don’t despair! Read this post, collect the deck like mine is and you will succeed! I promise! Don’t believe me? 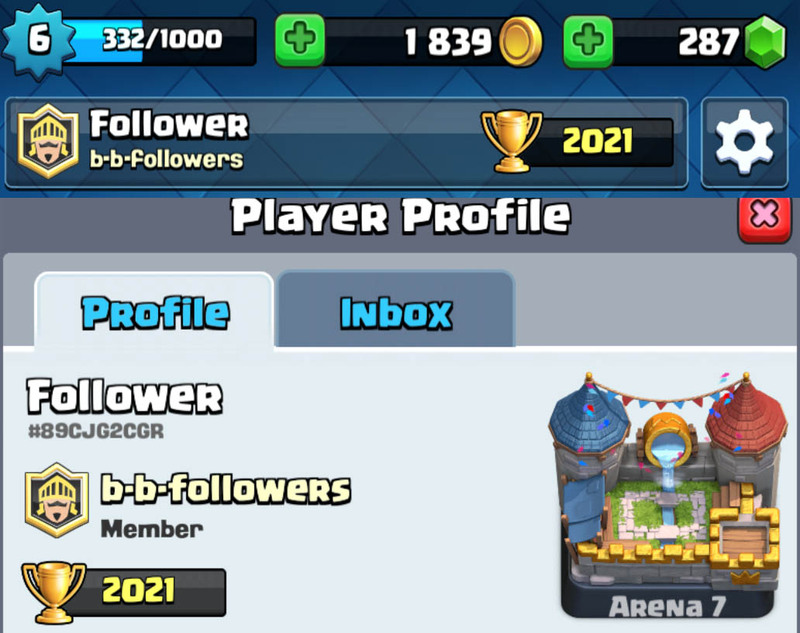 Judge for yourself, I’m 6 level player only but I play on the 7th Arena (and quite successful)! Giant and Balloon. Two attack oriented cards in Clash Royale the characters of which attack only buildings! 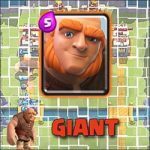 Very effective combination because Giant distracts attention of opponents troops onto yourself that gives more time for Balloon. Valkyrie and Wizard. The cards are very useful both in defense and in attack. Wizard is able to eliminate quickly the Minion Horde or Skeleton Army (as a rule, with these cards try to stop Giant the most often). Valkyrie due to her high hitpoints can be used with Balloon instead of Giant (in some cases). Baby Dragon. The main role is to cover Balloon and Giant during their way to the Towers. Baby Dragon is very good against Minions also. Archers and Skeleton Army. Cards that are selected for defense purpose only. Zap. Very useful cheap card in Clash Royale! Easily saves the giant from annoying skeletons or goblins! Sometimes with the help of Zap we can to destroy a low-health-lefted tower. Throw onto arena any other cheap troops just behind the giant near the bridge. This will make your opponent think that this flank is chosen for attack and he will start to put own cards for defense there. After the opponent has put two and more cards against your Giant, release Balloon on the other flank! As a rule opponent has no enough of elixir to stop it because he is busy with the Giant! Such tactic trick works in 80% of cases. Tagged Arena 6, Balloon, Decks, Giant. 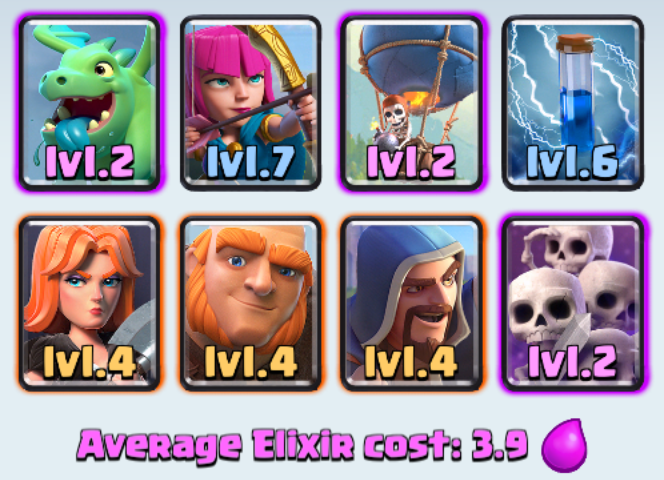 « P.E.K.K.A and Three Musketeers – both in one deck!